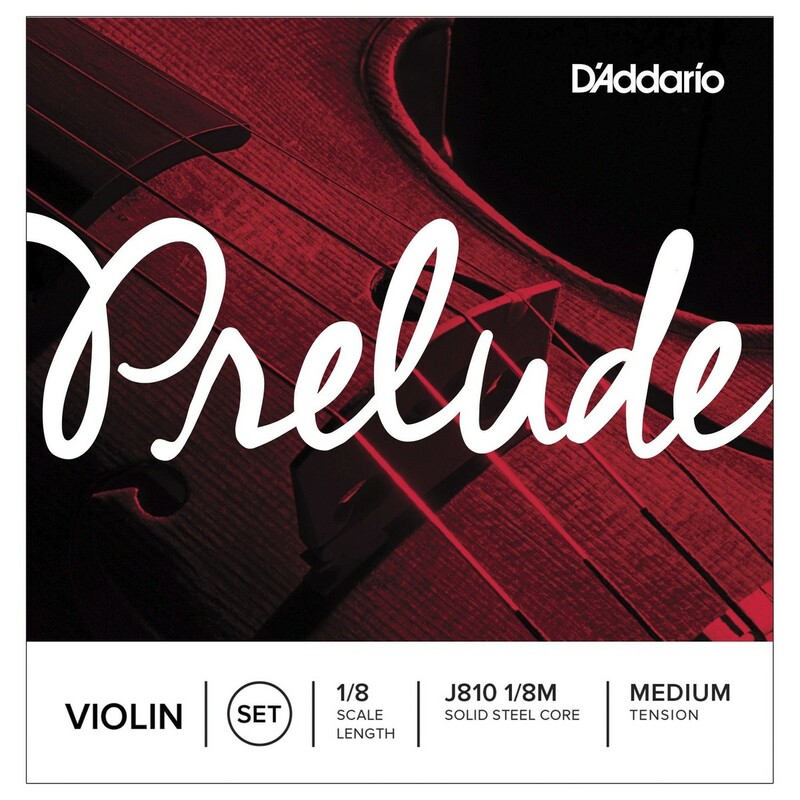 D'Addario's Prelude Violin Strings are built with a solid steel core and are unaffected by changes In temperature or humidity to provide a set that offers excellent sound quality, playability and durability. Producing a remarkably warm sound, the prelude strings are excellent for beginners and intermediate players who enjoy playing music such as classical, folk, country and bluegrass. The strings are scaled to fit a 1/8 size violin and are packaged in special sealed pouches to protect them from any corrosion before they arrive.